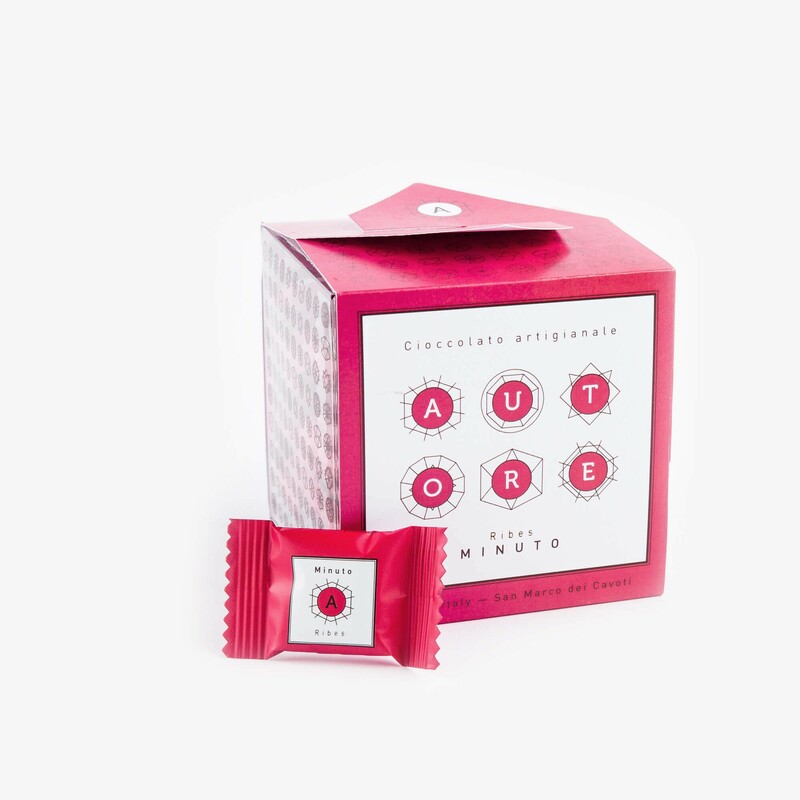 An elegant transparent PET cube with a personalized paper sleeve that wraps the box contains Minuto Red Currant 200g. Each bar is wrapped up in wrapping material for foods, which allows to preserve the product from moisture and contamination. A smart transparent box containing Minuto Red Currant 100g covered with creamy, white, soft, chocolate with delicate flavors of fresh milk and vanilla. The best pairings could be with coffee, passito sweet wine and premium spirits (whisky, rhum, cognac).